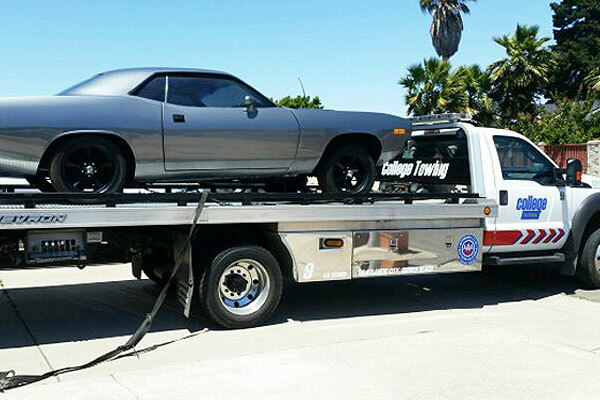 College Towing provides reliable, affordable towing services to San Luis Obispo, Grover Beach, Shell Beach, and surrounding areas. Since 1978, we have served thousands of local motorists and businesses, who rely on us to provide emergency roadside assistance at any time of the day or night. As a AAA Preferred Provider, we have met and regularly exceed their rigorous standards for excellence in towing and recovery services. We also offer comprehensive towing services to non-AAA members at reasonable prices. Because of our high standards and integrity, we are trusted by numerous city agencies, police departments, and CA state park rangers, who frequently call on us to provide exceptional accident recovery services, emergency roadside assistance, and fleet vehicle towing. 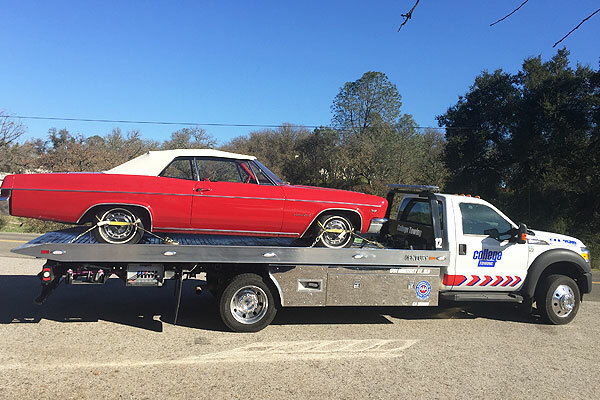 At College Towing, we understand how difficult it can be to be stuck on the road when your car or truck breaks down. That’s why we only hire professional, service-minded tow truck drivers who are certified by the California Tow Truck Association and the Automobile Club of Southern California. 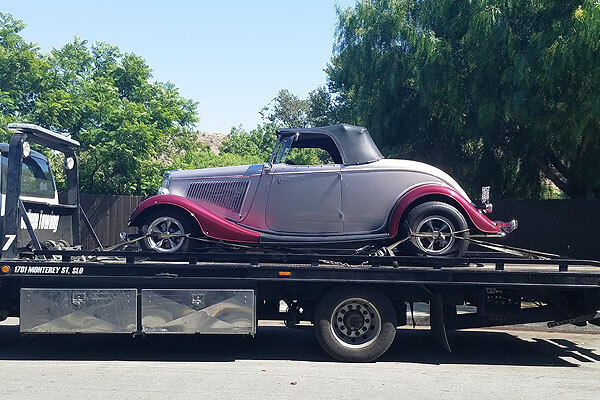 Whether you are locked out of your car in Pismo Beach, stranded by the side of the road in Arroyo Grande, or have a flat tire on your service van in Nipomo, you can count on College Towing to provide honest and reliable towing services every time. 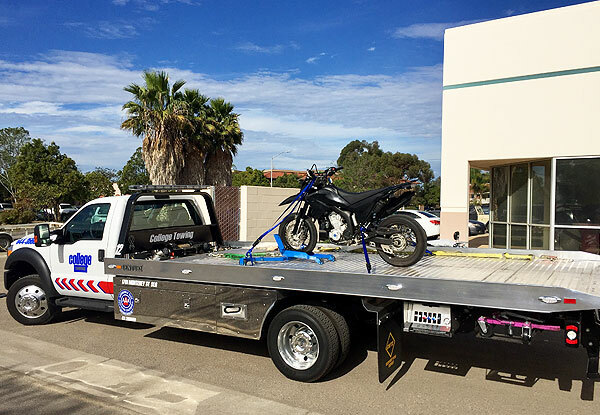 Our San Luis Obispo County roadside assistance services include light duty towing for cars, trucks, SUVs, and service vans, motorcycle transport, and flatbed towing. We also offer vehicle lockout services, spare tire changes, jump starts, and more. Our fleet of well-maintained tow trucks is equipped with the latest technology, including GPS-enabled terminals that give us the ability to find you no matter where you are in San Luis Obispo County. With our experienced drivers and state-of-the-art equipment, you can rest assured that we will be able to help resolve your emergency situation as quickly and efficiently as possible. Give College Towing a call today to speak to one of our knowledgeable staff members. AAA Members click here to be directed to the Automobile Club’s secure online portal. John is literally a saint. My tire blew on the southbound 101 and I had 1% battery on my phone. He showed up quickly, let me charge my phone in his truck, and called multiple tire places to make sure I could get a new tire before continuing the drive back to Santa Barbara. He even escorted me to the tire place since I couldn't map it on my phone. Will definitely call them if I ever need their services!